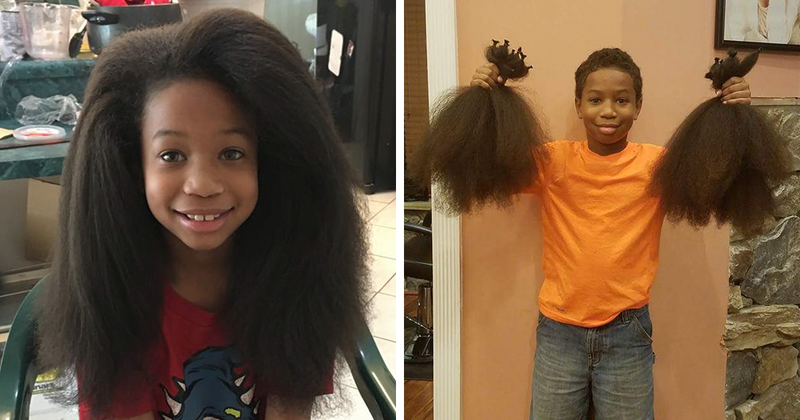 When Thomas Moore saw his mom watching a video on Facebook about a girl who had lost her hair to cancer, he had an idea. 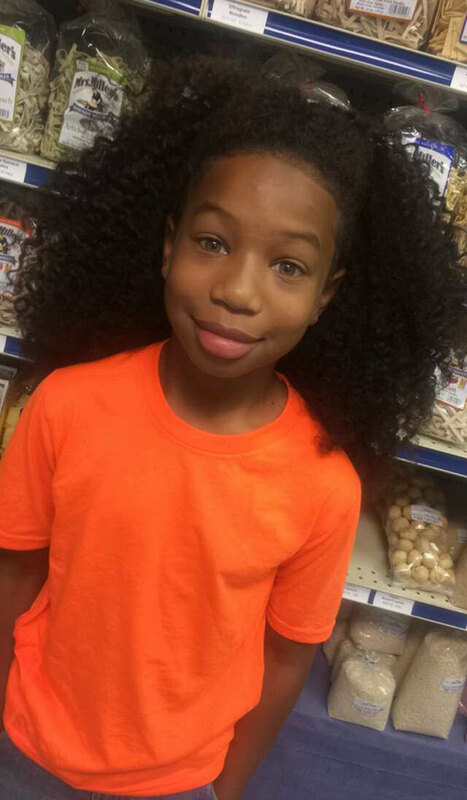 The almost 8-eight-year-old decided to start growing his hair out for kids who had lost theirs to chemotherapy, and so that’s what he did. For the next two years. 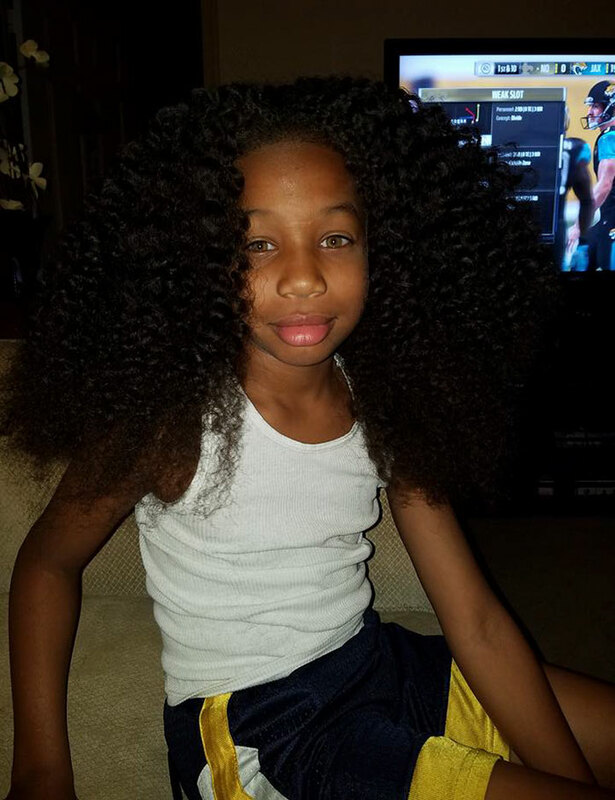 And as you can see from the pictures below, the kid grew a pretty impressive amount of hair! 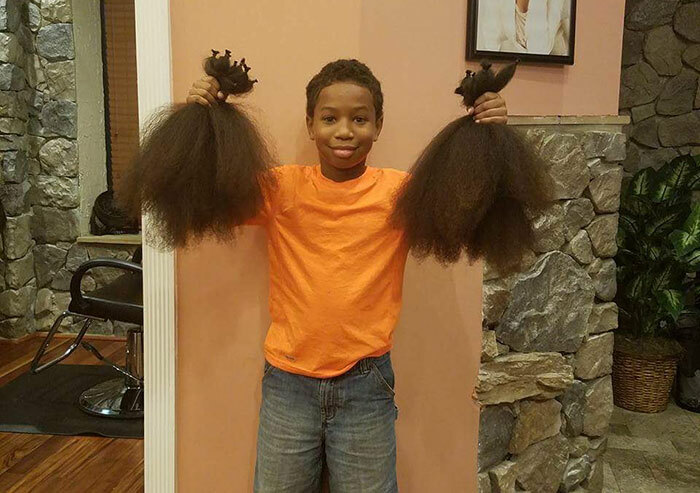 In fact, by the time he was done with his heartwarming project, Thomas, from Maryland, had enough hair to make three wigs! 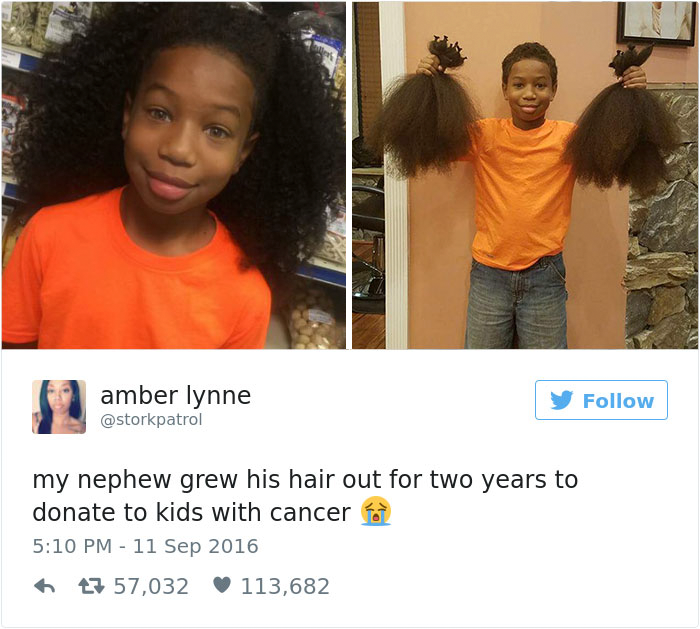 After he’d cut it all off, his aunt, Amber Ray, posted a before-and-after picture on Twitter, and it’s since been shared more than 57k times and liked by more than 110k people who are no doubt as amazed by this awesome kid as we are. So that’s what he did for the next two years!